Do you remember my post, you know … the one gushing about being awarded my very first and very awesome award for Kat’s Cafe? 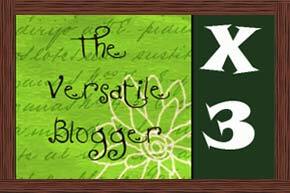 The Versatile Blogger Award? And the fact that I was nominated not once, but thrice! Yep … little ol’ me received the honor three times from some bloggers I admire greatly (Find them below!). Well, first I gushed, then I thanked the wonderful ladies who awarded me the honor. After that, I fulfilled the second part of the Awardee Requirements, I shared seven facts about me in my extremely well-received “Who Am I?” post. It was personal. It was emotional. It was important. Because I acknowledged a few hard truths about what makes me the woman I am. I admitted I’m far from perfect (I know! I was surprised too!). I hope, by forcing a bit more of this honest side forward, I can show all special needs parents that being strong, all the time, isn’t what they are called to be. No – loving these gifts we have been given, these amazingly awesome special needs children – that should be our most important mission. Trying too hard to be perfect? It’ll destroy you in the end. Allison’s Blurb: MOM is who I am. TV is what do. BELLY LAUGHS are what I live for. Lived in 8 states, 3 twice. Grateful for all I have and the people and experiences along the way who have made me who I am. Without them, A Mom Knows Best wouldn’t exist. I get to name the Cafe Award Winners! Leah’s Blurb: 30 Days of Autism is a project designed to promote social understanding and offer a glimpse into the perspectives of those whose lives are touched by ASD. Rob’s Blurb: I started this blog in January 2010 as a means of sharing my family’s real life journey. It’s important for people to understand what Autism can really be like and the impact it has on the family. We aren’t a TV show and there are no actors. This is our struggle, our journey…and it’s all true. I am “Lost and Tired” and this is “My Reality Autism”. Gina’s Blurb: Gina writes from the heart on raising a child with significant, multiple special needs AND his two neurotypical siblings. Not only personal essays, but poetry, humor, inspiration, information and tips. 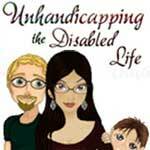 Her site has it all including hosted writing series, and she’s always willing to help out in the special needs community. She is active in the autism, epilepsy, SPD and CP communities. (Her site is temporarily down for maintenance – show her some Twitter Love). Dani’s Blurb: Dani is living with a rare form of cancer, she has a teenage daughter and her younger daughter has developmental delays. She’s just moved her site and she’s focused on sharing things from her corner of the pond. Kristine’s Blurb: I am a stay at home mom of 6. Three girls and Three boys. My boys are all on the autism spectrum. My wonderful husband works out of town up in the north. 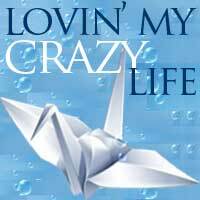 Life is crazy but loads of fun! 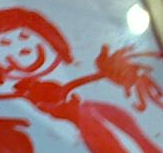 Lisa’s Blurb: I blog about special needs, teens, and tweens and everything between all of that. What doesn’t knock me down just makes me try harder. Caryn’s Blurb: What we’ve learned as a family because we’ve had the honor of Logan being a part of it. And from her Twitter bio: I have 7 monsters. #7 has autism, SPD, many life threatening allergies and seizures. Our blog is family, diet,diagnosis, and a little snark. PR friendly. Tessa’s Blurb: The chronicles of two parents raising four children: a high energy little boy with Asperger’s, his girly girl neurotypical twin sister, a quirky four-year-old daughter (who also has autism), and a twenty month old baby boy in Early Intervention. Oh….mom also teaches middle school. Welcome to the crazy train! Lena’s Blurb: With the help of an amazing husband, I am raising 4 kids. Our oldest (9yo) is in a residential treatment center, but will hopefully be able to make a successful transition home in the not so distant future. We also have 2 daughters, ages 3 & 4, and a son who is a year old. We love a lot, pray a lot, and ‘Embrace the Crazy’. Rhiannon’s Blurb: One physically disabled Mommy, one neuro-disabled child, one amazingly supportive Daddy, and a defiant will to thrive. Great They’re Versatile Blogger Winners! What Now? If you are reading and haven’t been awarded – it doesn’t mean I don’t love you! I do! I do! I just spent forever putting this together and there are so many others I could name but wasn’t able to. It makes a girl cry, it does! But why not support our friends above? Follow their blogs with Google Connect, Facebook “Like,” or Networking Blogs boxes, or all three! Tweet out a link from their site! Share one the posts from their site! Follow them with the wonderfully provided Twitter links! Above all – read and comment and share! Blogging is fun and rewarding sometimes, but usually you feel like you’re writing for yourself, but these bloggers (and so many more of you) write with the audience in mind and make learning about your lives and your causes an adventure worth following along on. Thank you for showing your true versatility by blogging despite challenges and triumphs. You can choose which of the following buttons to proudly place on your site while you collect yourself and come up with your acceptance speeches (that’s the hardest part, right?). It’s a Blogger-ponanza – and I pass the torch on with thanks and love for the many awesome bloggers out there writing for the love of blogging, and blogging out of love, and those who have made their blogs into even more! Here’s to the Versatile Blogger in all of us! is it bad that you wrote this last month and I am only just NOW reading it for the first time? Oh, and also, THANK YOU!! you\’re all kinds of cute and stuff. Congrats on the Award. I am your newest follower from vBok\’s GFC Hop. Have a great week! Thanks so much for visiting Katherine! And the congrats. But mostly for visiting! Thanks so much for hopping over Brenda! I\’ll slowly be reciprocating now that life is settling into what passes for normal around here. 🙂 Appreciate your visit and enjoy making new friends! Ain\’t that the truth! Thanks Michelle! How sweet of you and your readers to award you with this. Just wanted to say hello, I'm your newest follower from the VB hopper mania. 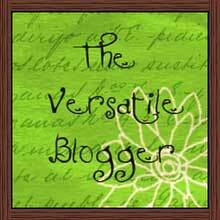 I think the versatile blog award is awesome. I'm glad you're in my tribe and educating parents everywhere on the resources for special needs children. You are lovely! Lisa – that is such a sweet thing to say … I am nothing special! Seriously – I'm just like millions of other moms out there doing their best under unique and remarkable stresses! I know sometimes I feel like others don't "get it" – but we each have our own journeys in life, and some are just a little more difficult to walk than others, difficult as in different, not difficult as in horrible. 🙂 *hugs* thanks so much! I"M SO BEHIND!!! Thank you a million times for the award. I hope to have time this weekend to do my post! LOL! Hey Katrina! Found you on Bloggy Moms. I subbed as a PARA in my kids' school last year and fell in love with all the special needs kids I helped. I do have a soft spot in my heart for autistic kids, my nephew has autism, and he is the sweetest little boy around! Congrats to everyone who won an award! I love when the blogger love is shared with others! Thanks so much Angel – I think my reply to you got eaten! I Adore sharing Blogger Love! Hi, I\’m a new follower from the VB Hop Mania. Thanks for visiting Kristy. Hope to see you back again sometime soon! Thank you so much, Katrina. I am grateful. I am not a very disciplined blogger, so the award is unexpected. Jim – you blog from the heart, and if ever there were a reason why someone deserves a little bit of recognition, your newest post is an excellent reason and a great example to other bloggers about why we blog.